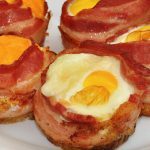 For those of you who haven’t been here before, this is The Keto Cookbook, all the best Keto recipes on the web! Sign up below for our weekly newsletter, we promise we will never spam you! < Sign me up for the newsletter!